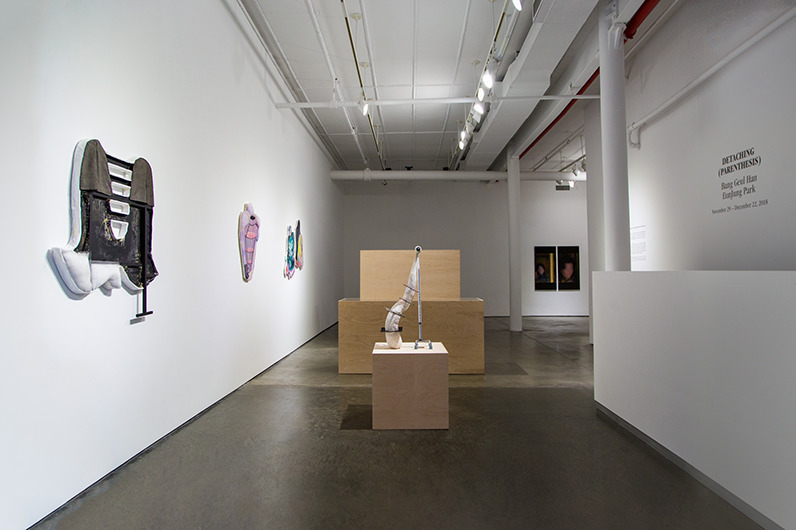 DOOSAN Gallery New York presents the curated exhibition, DETACHING (PARENTHESIS) from November 29th to December 22nd, 2018. DETACHING (PARENTHESIS) initiated from the concept that a parenthesis, a punctuation mark, could also function as a social, political, and cultural frame that surrounds women. A parenthetical phrase is not only an inserted explanation, afterthought, or qualifying clause that integrates to the surrounding sentence; it manifests different layers of information (e.g. pronunciation or derivation). By expanding the boundary of the parentheses in a multifaceted way, DETACHING (PARENTHESIS) raises awareness of the existence of social parentheses on stereotypical femininity formed in the last few decades. Feminist movements in modern society have become more popular and continue to address issues on social, cultural, and political equality for women’s liberation. The traditional prejudice and discrimination against patriarchal women demand domestic responsibilities, consequently making it an obstacle for women to fully participate in the modern world. Applying Martin Heidegger’s proposition, “language is the house of Being,” to the language of females, it can be understood that women whose voices in society have been oppressed have had their social existence constrained. 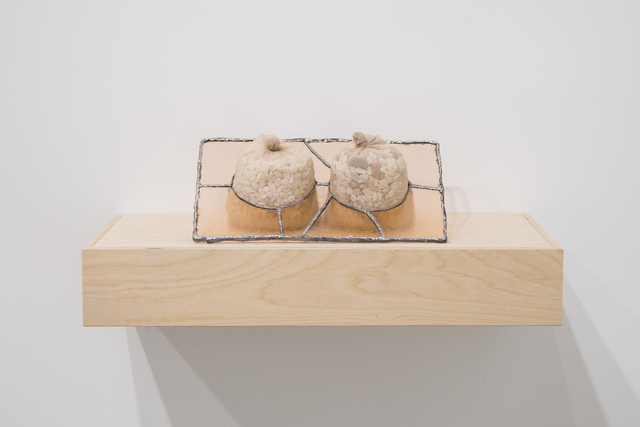 This exhibition focuses on the feminist movement, an ongoing worldwide issue, and reconsiders traditions from a feminist perspective by two Korean artists: Bang Geul Han and EunJung Park. 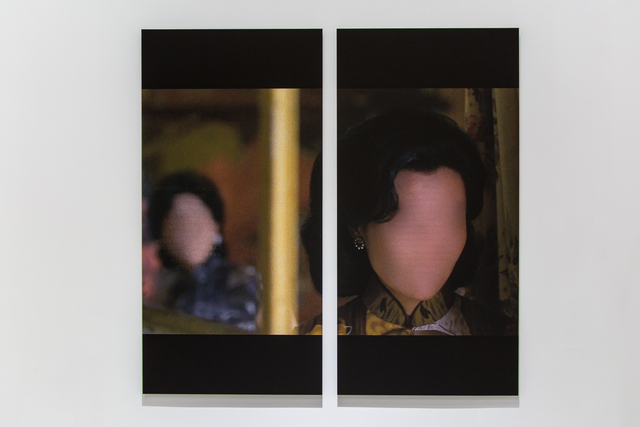 Bang Geul Han explores digital manifestations of activities often associated with the female: gossiping, journal writing, and talking about love, emotions, and confessions. 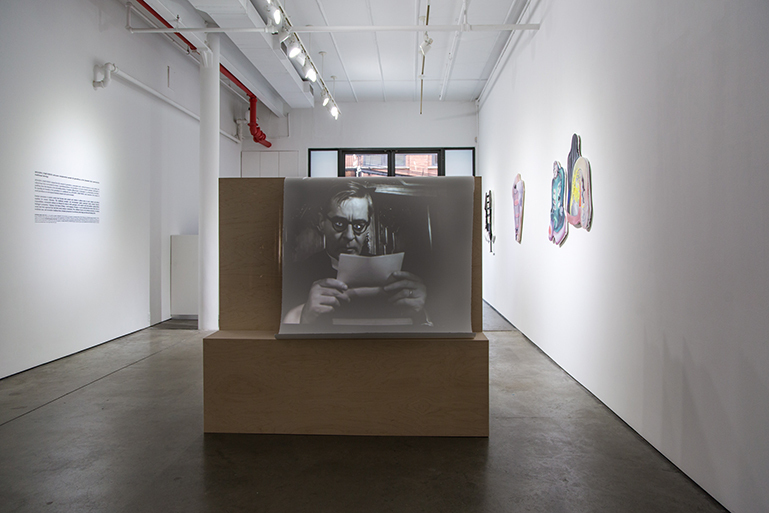 Han’s Dear Tomas (2018) reconstructs a partial sequence of Ingmar Bergman’s film, Winter Light (1963), by employing the method of inversion in the editing process. 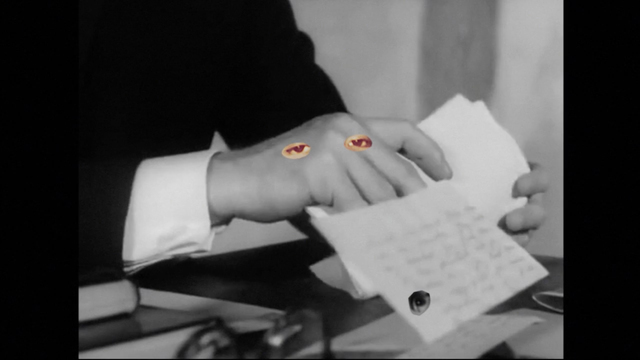 Han collages elements from outside of the original film and completes her work that focuses on female psychology. 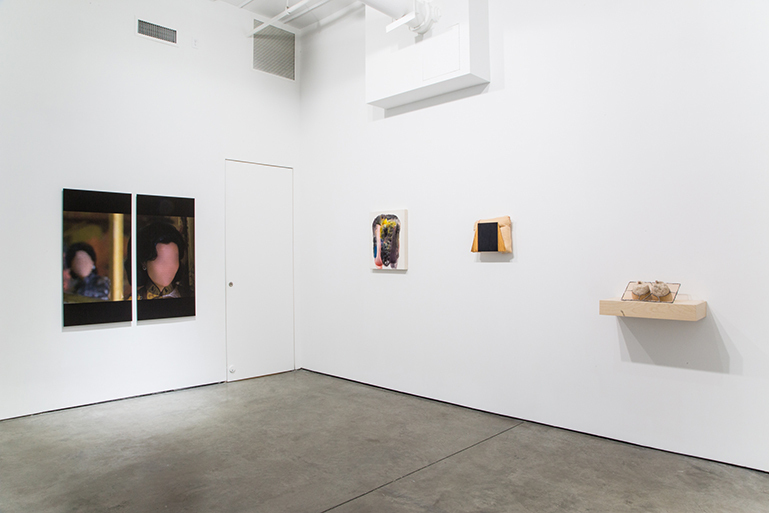 The Referential Gaze (2015 – 2018) series blurs facial elements and reformulates the human gaze into legible, quantifiable data. 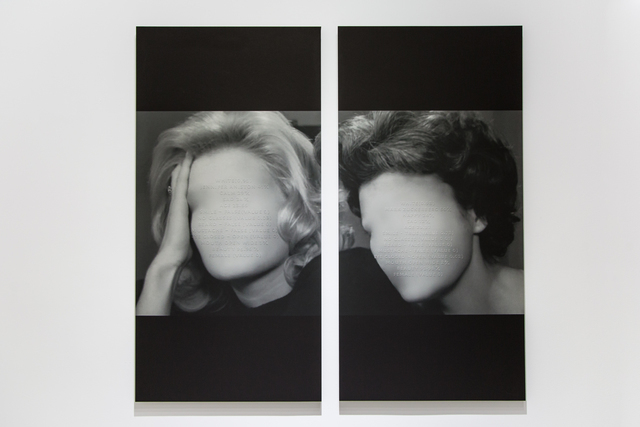 Clouded parts on the face operate as the backdrop to show numerical result processed by a facial analysis software program, emphasizing the reality in which autonomous emotional expressions of women are repressed. 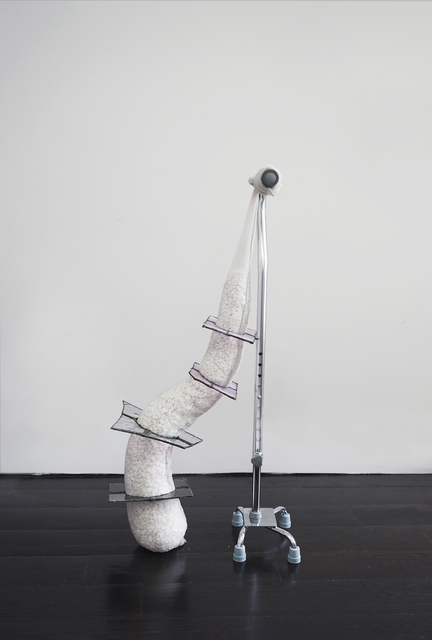 EunJung Park observes objects closely associated with the female body, or the body itself, and transforms them into abstract shapes. 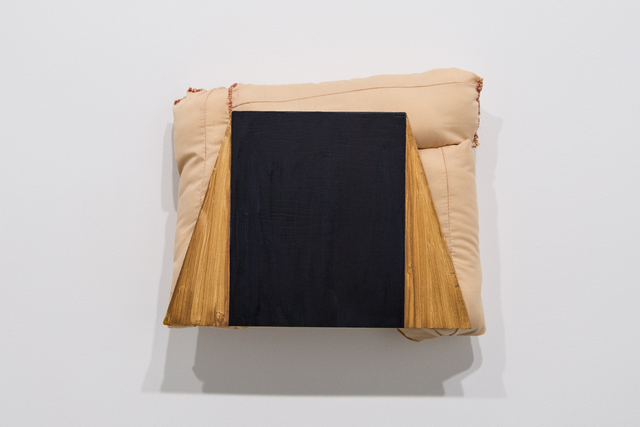 Park alters the frame of canvas, sews on the surface of work, and partially cuts out the canvas as she creates a complete composition. 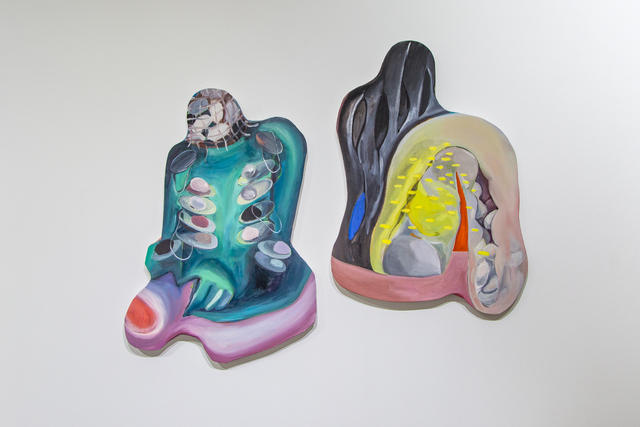 Park’s process of repeatedly constructing and deconstructing forms hints at the biological and psychological spaces concerning femininity. 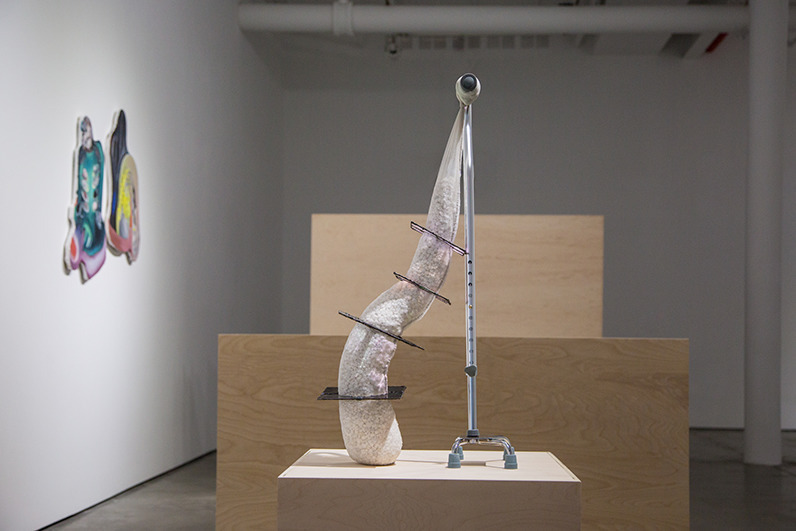 Grandma (2018), a work that combines a quad walking cane for elder women, stained glass, and stretch nylon, shows women’s aged bodies that precariously maintain balance. 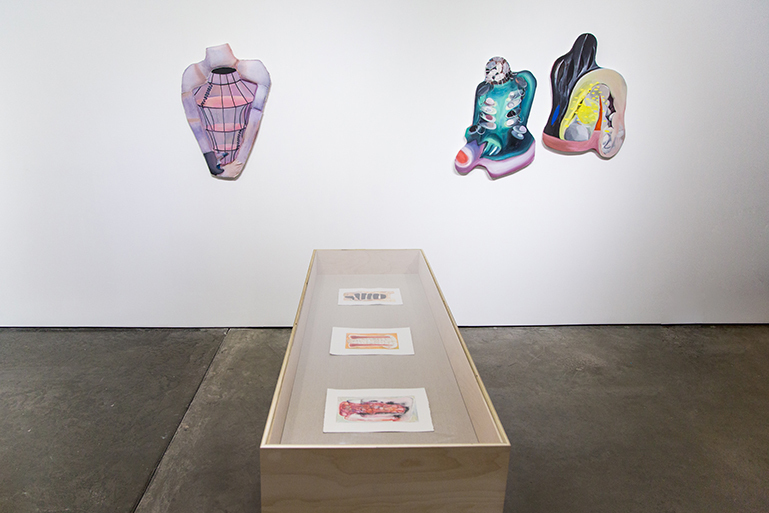 Diverse textile techniques are used in works such as Shelter (2016) and Doom (2016) to experiment the gap between the biological and gender identity through the material of textile that has conventionally been considered a feminine domain. 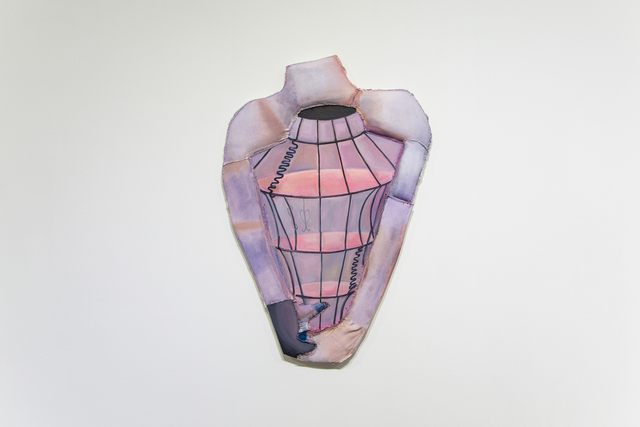 DETACHING (PARENTHESIS) provides an opportunity to reconsider outside of the parentheses encircling the concept of femininity, that has often been conflated with the traditional ideology. 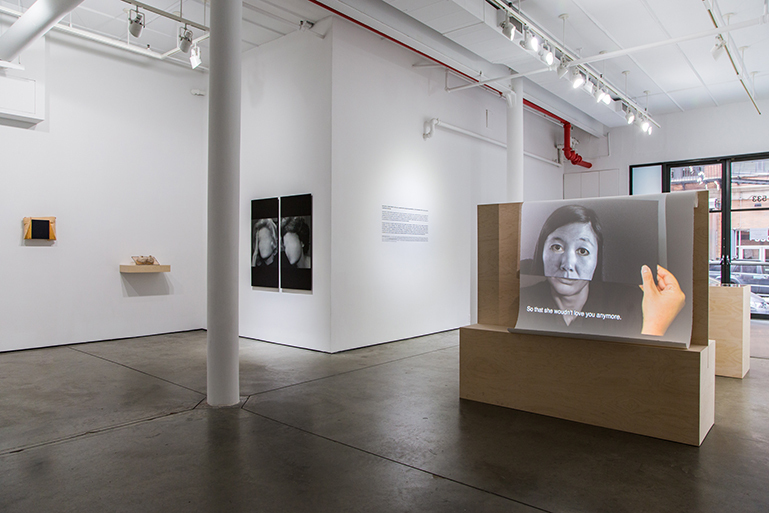 The exhibit aspires to engage in discourses around women’s role in contemporary society, through the works of Bang Geul Han and EunJung Park. Bang Geul Han (b. 1978) received her M.F.A. in Electronic Integrated Arts from New York State College of Ceramics at Alfred University, after having majored painting at Seoul National University. 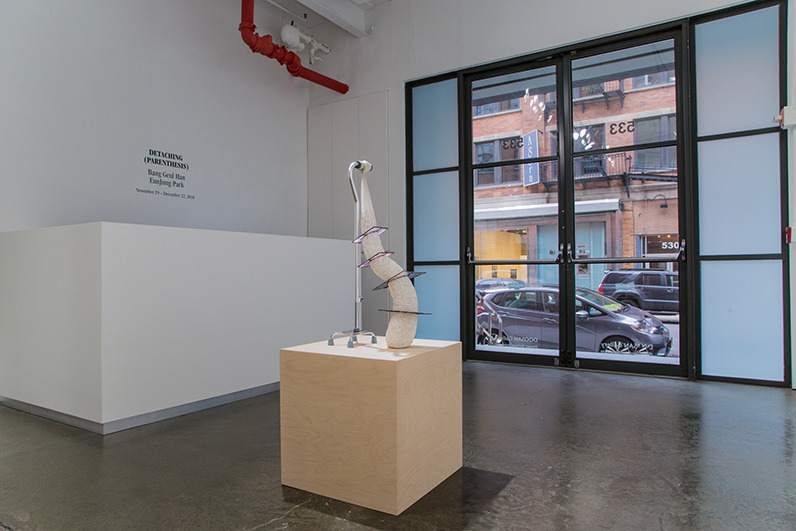 Han is a recipient of a number of artist residencies and fellowships including Peter Benoliel Fellowship at the Center For The Emerging Visual Artists (2017, Philadelphia, PA), the Bronx Museum Artist in the Marketplace (AIM) program at the Bronx Museum of the Arts (2016, Bronx, NY), Lower Manhattan Cultural Council’s Workspace program (2011-2012, New York, NY), MacDowell Colony (2009, Peterborough, NH), and the Skowhegan School of Painting and Sculpture (2007, Madison, ME). 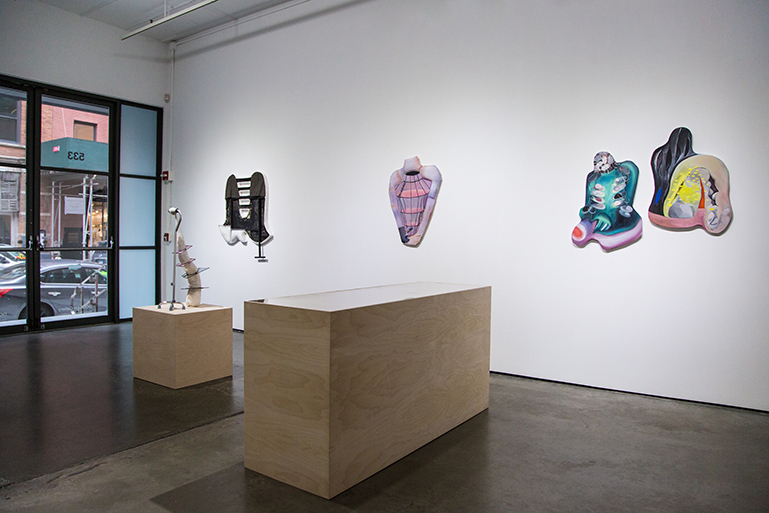 Han’s solo exhibitions have been held at NURTUREart (2018, Brooklyn, NY), Projet Pangée (2016, Montréal, Canada), Bronx Documentary Center (2015, Bronx, NY), and A.I.R. 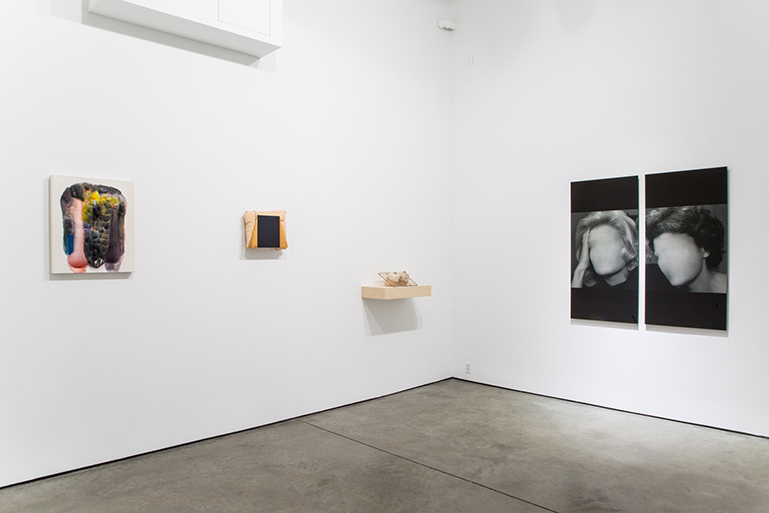 Gallery (2012, Brooklyn, NY). Han is born and raised in Korea and has been based in the U.S. since 2003. Han lives and works in Brooklyn, New York. EunJung Park (b.1987) received her M.F.A. from Maryland Institute College of Art, and B.F.A. from Kookmin University. 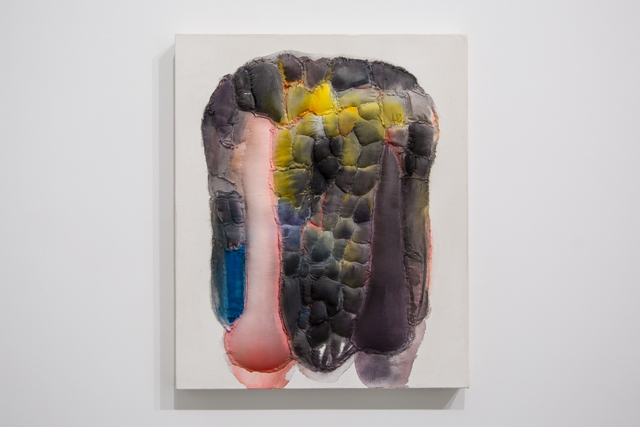 Park has participated in renowned artist residency programs including the Bronx Museum Artist in the Marketplace (AIM) (2018, Bronx, NY), the Skowhegan School of Painting and Sculpture (2017, Madison, ME), Vermont Studio Center Residency (2016, Johnson, VT) with merit grant, The Studio at Mass MoCA : An Assets for Artists Program (2016, North Adams, MA). 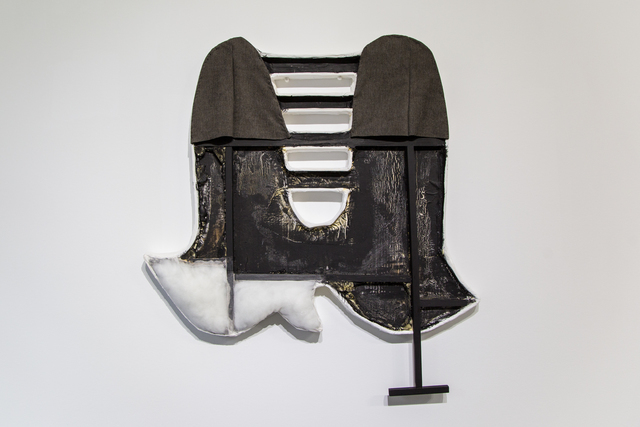 Park had her solo exhibition at Napoleon Gallery (2015, Philadelphia, PA), and her works in group exhibitions have been presented at Bronx Museum (Upcoming, Bronx, NY), Spring Break Art Show (2018, New York, NY). Park is born and raised in Korea, and lives and works in Brooklyn, New York.